Last edited by sstomek on Sun Jul 30, 2006 5:55 pm, edited 1 time in total. A mod should without a doubt sticky this. This is amazing. Awesome jobs and thanks. The funny thing is that sstomek is a noob. He only has 10 post. OK...define the word noob...In my definition a person could have 700+ posts and still be a noob. 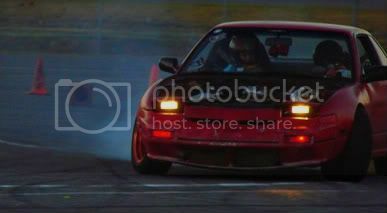 That guy with the Orange 240Z in his Signature...yea he def. is not a noob he knows his ****. awesome! It would be nice if all this info could be on a site or something. Finally someone had the time and was nice enough to do a full list. I sure a lot of people will need this big time. Good Job!!!! hahahaha, thanks alot guys. yea it took me a while but I got it done and i think it will be quite useful. Not only for the n00bs. while i was browsing i learned a few things of my own also...like a paddleshift 240, never knew that exsisted let alone a guide to doing it. Heh yea im a n00b to the site, signed up cause im going ka-t all the way baby! Thought I'd start early with a sticky(maybe :)) Heh, again thanks for the support. 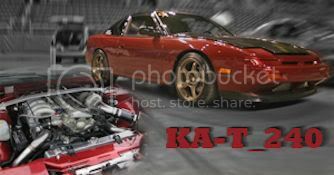 92 240sx se Convertible-(Wifes Car) NA , Tanabe Coilovers..
^haha yea but its true, oh and me and s13fx are gonna open up a custom tune shop for your ka24d and ka24de ecu's. haha nice, there are some great articles in there. I added half of them and will add the other half later. Dont have too much time. The problem is if I edit it here i have to edit it on the other forums i posted this on and it takes up some time. Thanks again for the articles. looking good you're putting it to good use!